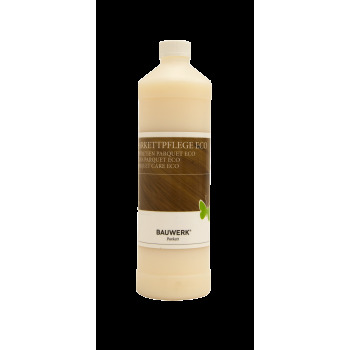 Bauwerk Care Oil is a high-quality care oil for maintaining oiled parquet floors. Incl. 7.7 % tax, Excl. shipping. 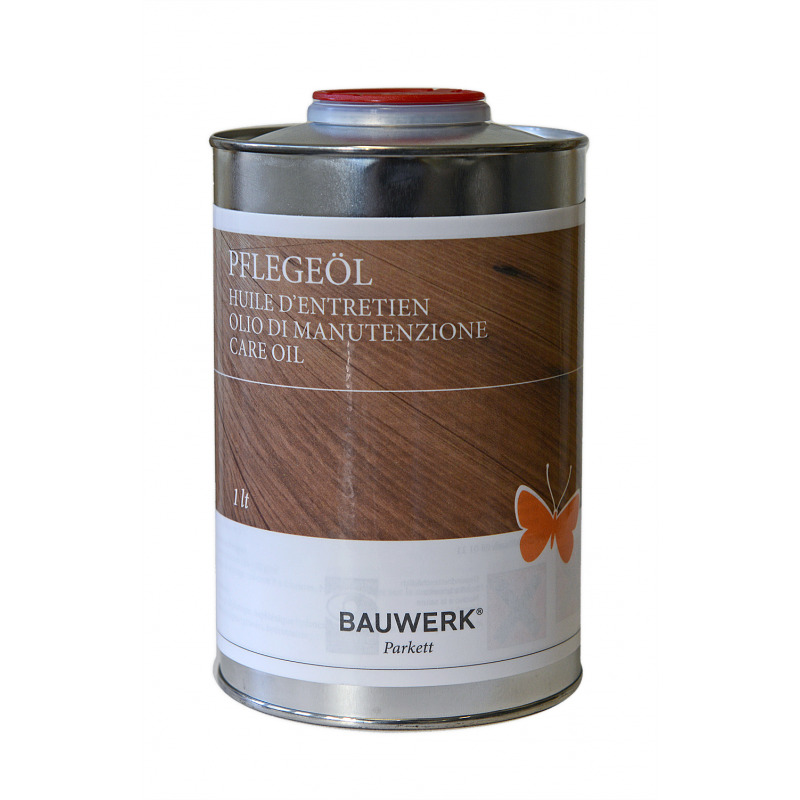 Bauwerk Care Oil is a high-quality care oil for maintaining oiled parquet floors. It nurtures oiled surfaces and enhances protection. It is available in 8 different shades: colourless, white, grey, beige, light brown, golden brown, brown and black. Your floor installer or Bauwerk contact person will be happy to assist you with your colour selection. 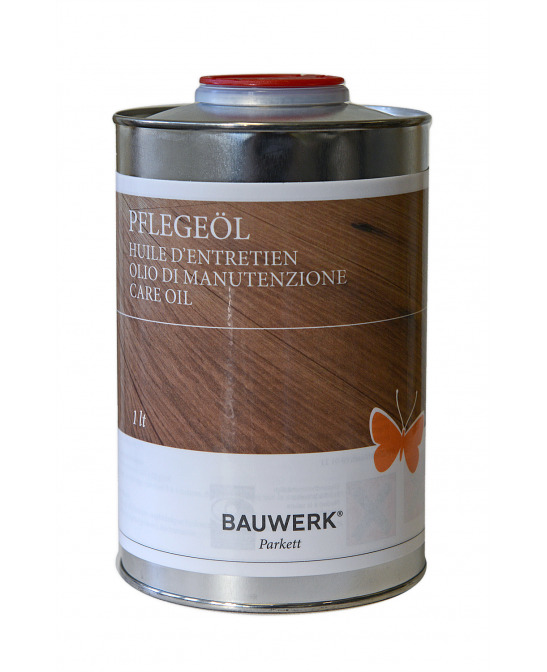 We recommend that you oil your parquet once or twice a year. The floor must be clean and dry prior to application. Shake the care oil well before use. Then apply a thin layer of neat care oil as evenly as possible with a cloth or mop. If required, remove any excess oil with a lint-free cloth. You can walk on the surfaces again after a drying time of 3-4 hours. 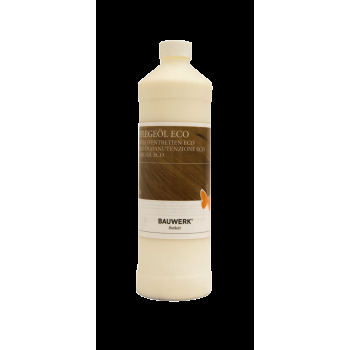 Bauwerk Care Oil Eco white is a high quality care oil for the maintenance care of white stained parquet floors.